You can almost see the flight of the bird in question during the introduction of this masterwork by bassist Charles Mingus. However, this bird is actually Charlie Parker, with whom Mingus performed on many occasions and to whom this song is dedicated. In Mingus’ own words: “I wouldn’t say I set out to write a piece on Bird. I knew it was a mournful thing when I was writing it. Suddenly I realize it was Bird. […] It’s mainly about my misunderstanding of Bird […] In one way, the work isn’t like him. It’s built on long lines and most of his pieces were short lines. But it’s my feeling about Bird. I felt like crying when I wrote it.” Mingus was a master at orchestral Jazz in the same category as Duke Ellington, but where Ellington was always tasteful and pleasing; Mingus’ MO was more challenging and deeply emotional, with a penchant for the jagged and gnarly alongside the tuneful and lovely. This had as much to do with his upbringing as with his composition style. 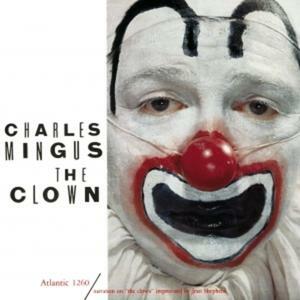 And with Dannie Richmond on drums to complete the rhythm section, Mingus could certainly swing, as evidenced on this classic from the 1957 album “The Clown.” The lineup on this track includes Shafi Hadi (aka Curtis Porter) on alto and tenor saxophone, Jimmy Knepper on trombone, Wade Legge on piano and Dannie Richmond on drums.